If your gutter system stands out like a sore thumb when compared to the style of your home, it’s time to do something about it. Did you know you can paint your gutters? You don’t have to relegate yourself to a lifetime of standard white gutters and downspouts. Instead, pick up a bucket of paint that complements the style of your home. Not every color is right for every home, though. Here is a guide to painting gutters to match your home style. An often overlooked part of the home and a possible color accent – your gutters. 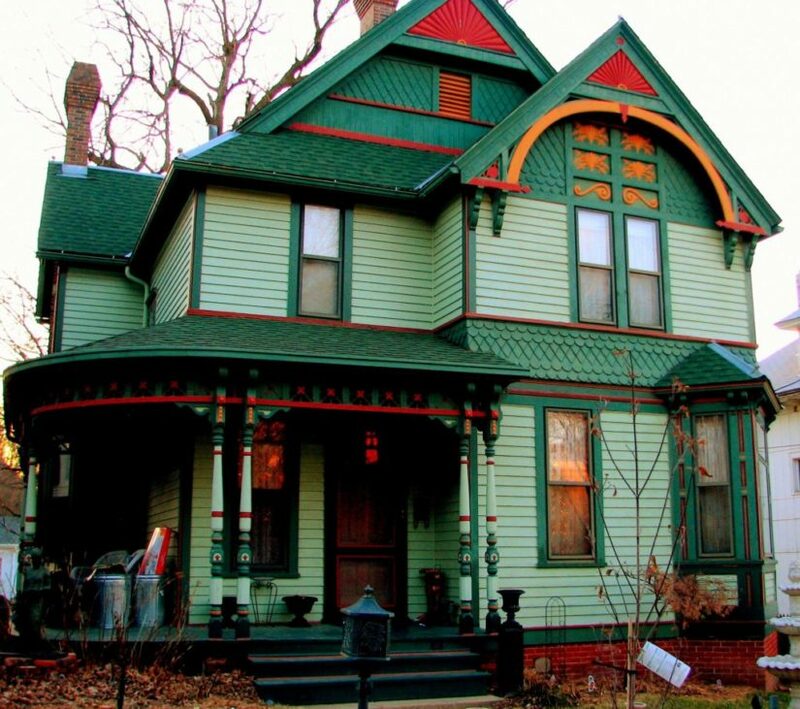 You can get a little more creative, colorful and whimsical with a Victorian home. From vivid blue and muted green to light lavender and yellow, this home-style allows your creativity to show through. These colors go well with home colors that are predominantly beige, white, light yellow or cocoa. For homes that feature bright colors as the predominating factor, you can’t go wrong with more traditional colors of white and cream for the gutter work. Always take into consideration the main home color and work around that for the complementary color when it comes to painting gutters. Modern and contemporary houses are often painted sleek stone colors, along with deep browns and even blacks. Obviously, the color you choose to paint your gutters will have to gel with the existing color of the rest of the house. In general, you can’t go wrong with bold colors in slate gray, black, brown and rich rust colors that offer up a more modern and contemporary look over the more traditional styles of, say, a ranch or split. To complement the rustic look of the log cabin, you have a wide range of possibilities when it comes to painting your gutters to match. Try ivory, clay, dark green, gray, deep brown, bronze, red or even eggshell to complement the facade of such a rustic, natural type of home perfect for lake or mountain living. Colonial Revival architecture of the 17th and 18th centuries was based on order and simplicity, in direct opposition to the ornate and colorful nature of the Victorian style. That being said, clean, seamless lines and color choices are at the heart of the colonial style. For gutter paint, go with bright whites, creams, and even blacks to accentuate the angles and downplay the decorative aspect. If you need help on how to paint gutters or which colors would be best, contact Home Solutions of Iowa. Our team can help you repair, install or paint your gutters to improve your property today! I was most satisfied with the fact that they took the time to personalize one of the downspouts. - Alan G.
I would like to recognize my sales representative he was very good, and the installation crew got everything done quickly and it looks good. - Susan B.
I was recommended by friends to go with LeafGuard® and I am glad I did. I am satisfied with everything. - Bob A.
LeafGuard® by Home Solutions of Iowa was highly recommended by a friend. Everyone was very friendly and courteous. - Bob F.